Mrs. Shalom-Cohen joined Synel in 1995 and has been serving as V.P. operations since 2000. Mrs. Shalom-Cohen is leading the organization’s overall Operations department, which includes the purchasing department, production, import and export activities and product engineering. 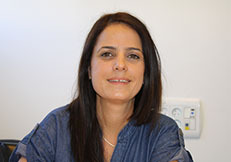 Prior to her current position, Mrs. Shalom-Cohen held a number of positions in the company and was managing the QA, projects and installations departments. Mrs. Shalom-Cohen has a B.A degree in Social Sciences and Humanities from the Open University, and an extensive experience in logistics, purchasing and production management, as well as vast acquaintance with the international components market.